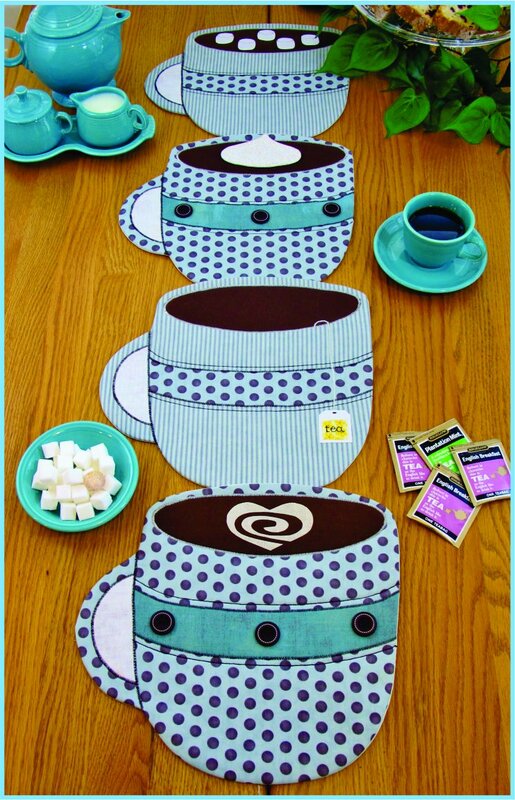 Description: Fill 'Er Up with your favorite beverage - Coffee, Tea, Cappuccino or Hot Cocoa! We've included a Heart Swirl of Cream, Floating Marshmallows, a Dollop of Whipped Cream and a Tea Bag Tag to top off a group of fun and whimsical place mats for year-round use, or for a special get-together with your friends! Mix and match to sew up all your favorites! Finished size 12.5" x 13".